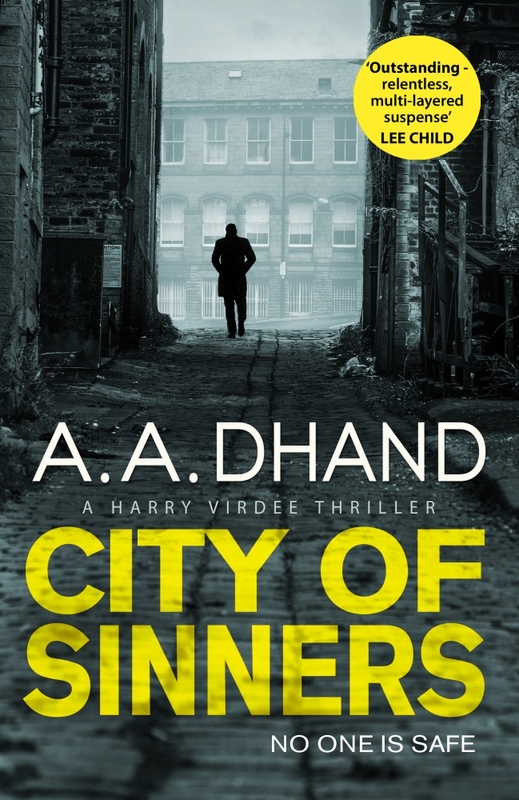 City of Sinners is the third in the A.A. Dhand’s series of crime novels set in Bradford and starring his detective, DCI Harry Virdee. It opens in the most arresting way possible, with a body hanging from the dome of Waterstones – formerly the Bradford Wool Exchange and one of England’s most beautiful bookshops. And that is just the start of a spree of bizarre killings that seems to centre Harry himself. As ever, Dhand presents a Bradford that is – as Harry says – a British Gotham. And in Harry Virdee he gives us a stereotype-busting Asian Luther – violent, angry and willing to cross almost any line you draw. Surely it can only be a matter of time before someone takes these high energy books, with their spectacular set pieces and arresting imagery, and transfers them onto the small screen? But Virdee doesn’t stop at busting stereotypes of geeky asexualised Asian men. He drives a coach and horses through the trope of the loner cop as well. For the light in the dark of Dhand’s novels remains the relationship between Harry and his wife and baby son. It’s also the part of the books where he most cleverly flips your expectations. 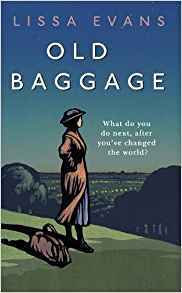 The only other crime novelist of recent times that I can think of who has allowed their protagonist such a rich, warm and realistic home life is Sheila Bugler. Without it, these books could be grim fare indeed. With it, they become a joy. 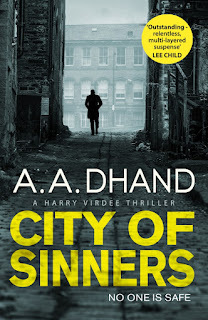 Dhand also does what few other authors could do with clarity and integrity: he takes as his themes the darker, dirtier aspects of British Asian society – in this case, brown on brown bigotry, something he’s touched upon in his earlier books. And it is those generations of accumulated hatred and prejudice that, to my mind, produce the most quietly shocking moment in the whole book. There is no getting away from the fact the Dhand’s novel’s are brutally violent, and if that’s really not your thing, you should probably steer clear. That said, there are many, many reasons why you should introduce yourself to Harry Virdee. If you haven’t already done so, go back and read Streets of Darkness and Girl Zero. And then get straight on and read City of Sinners. What We Thought: This is a very loud book! Matty Simpkin bounds onto the page and makes herself heard wherever she is and whatever she is doing. Mattie and her friend Florrie Lee (known as The Flea) live near Hampstead Heath in The Mousehole, so called because the house was once a refuge for suffragettes released under the Cat & Mouse Act. Both Mattie and The Flea were members of the WSPU before the Great War. In 1918 an act was passed giving the vote to property-owning females over the age of thirty. It is now 1928 and a new bill is about to extend suffrage to all women over 21, even those who are not property owners. Though still active - giving talks about the movement with The Flea's assistance - Mattie feels she wants to do more. Another former suffragette has started up an organisation for boys and girls which Mattie considers to be verging on the fascistic - uniforms and marching are involved. She determines to start her own group - a more freethinking outfit to be called The Amazons. Mattie wants to encourage young women and girls to be fit, healthy and knowledgeable so as to be able to use their votes wisely. She recruits Ida, a former cloakroom attendant who has been dismissed, and puts notices up for more members. The group becomes successful, with The Amazons gallivanting all over the Heath learning physical skills while ingesting Mattie's teaching on a wide range of subjects. However, when Inez joins things start to go wrong. Mattie knew Inez's dead mother, Violetta, and comes to believe that the girl's father may not be who she believes he is. She favours Inez again and again, thereby putting the other girls' noses out of joint. On one disastrous summer's day Mattie acts against her own better judgement and loses the respect of the Amazons and, ultimately, her friendship with The Flea. Beautifully written, vibrant, witty and sad, this book explores the disappointments of nepotism and the way a fond memory of someone may not be the whole truth. Avoid If You Dislike: Accounts of women’s lives. Perfect Accompaniment: Gooseberry jam and a cup of tea. 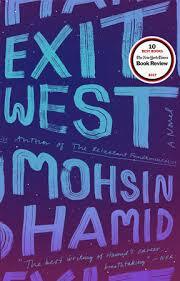 Mohsin Hamid’s Exit West is a tricky book to pin down. It begins, straightforwardly enough, in a city crowded with refugees and about to be overrun by war. The city is never named and you are left to decide for yourself whether Hamid might have a specific place in mind or whether this could stand for any city on the brink of war. The two central characters, Nadia and Saeed, meet at an evening class. We watch as that normal life crumbles around them, as militants take over the city, as the bombs come closer and closer, as they start to look for a way out. And at this point, the story deviates from reality and take on the qualities of an allegory. Because in this world doors are opening up. Doors where, wif you step through, you walk out into a different part of the world. To begin with, this does not change the trajectory of Nadia and Saeed’s lives that much, as – like so many refugees in our world – the first place they find themselves in is an overcrowded and ill-equipped Greek island. Resentment and nativism rear their ugly heads. Again and again, they flee. But gradually, Hamid’s narrative implies, the fact that anyone, anywhere can step through a door and find themselves in another country begins to change the nature of the world. The concepts of borders and national identities grow hazier. In the end, the novel is both an indictment of the West’s failure of understanding and its treatment of refugees, and an uplifting vision of what the world might be if we abandoned the idea of nation states. In keeping with the allegorical nature of the story, our viewpoint remains slightly detached throughout. We are a camera hovering just above the scene, following Nadia and Saeed like a fly on the wall documentary team without ever fully entering their minds. There is little, if any, dialogue, only a few reported speeches. We are sitting at the feet of a story teller, not watching a play. 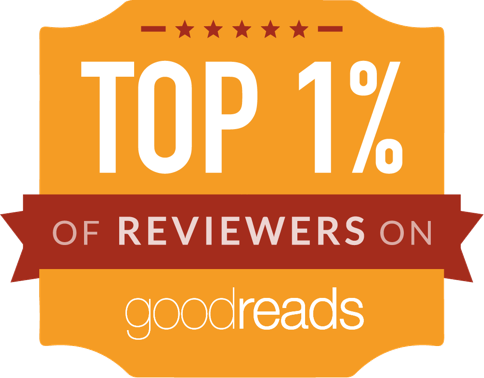 You’ll Enjoy This If You Loved: Fifteen Dogs by André Alexis, A Country of Refuge (ed Lucy Popescu), The Reluctant Fundamentalist by Mohsin Hamid. 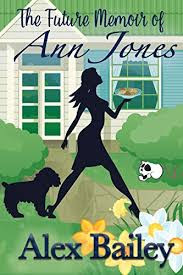 Ann Jones is a respectable, happily married mother of two with a network of family and friends on the West Coast. Then out of the blue, she has a vision of her whole life transformed. The first thing she does is run around to tell her best friend, Alex. The Ann Jones of the future loses her husband in box-and-basement accident. Widowed with teenage twins in college, she takes her dog and moves to the East Coast. So far, so strange. But things get a whole lot stranger when she joins a Knitting Club. All the members have lost a husband, some in quite bizarre circumstances, but they’re all friendly, they love their pets and appreciate home cooking. The one thing they don’t do much of is knitting. As Ann embraces a new career as a baker and welcomes a new man in her life, she begins to enjoy her freedom. But she underestimates Knitting Club and the dangers it presents. But it was only a vision, right? Light romance with a dark tone, this is an entertaining read with witty observations on life, love and lethal women. Perfect to read on the beach while wearing sunglasses and looking innocent. What We Thought: Before reading After the Party, I would never have imagined I could feel sympathy for someone who had espoused a far right cause. This book is so sensitively written, however, that it is impossible not to feel sadness for the protagonist, and to recognise that she is embroiled in something, the potential consequences of which, she doesn't fully understand. Phyllis Forrester is the youngest of three sisters. In 1938 they are all living, in various states of prosperity, in the south of England. Phyllis has three children, two girls and a boy, all about to go back to boarding school. Through her middle sister, Nina, she becomes involved in a political party, the leader of which is simply referred to as The Leader. At first she is not especially interested in the cause but as she has little to do she helps her sister out. Her eldest sister, Patricia, is also involved but to a lesser extent. Patricia and her husband, Greville, are at the upper end of the social scale, Phyllis and Hugh are perhaps slightly below, and they both think Nina and her husband, Eric, are a little infra dig, as he runs a garage and she runs summer camps for members of the Party and their children. Patricia invites The Leader, or the Old Man, as he is sometimes called, to a grand dinner and a certain amount of vying for his attention is involved. Though the Leader is not specifically named until some way into the novel, it is soon obvious who he is. He is charismatic and charming and his followers all adore him. Phyllis meets Sarita through her association with the Party and they become friends, though Sarita is often a little vague and distrait. When disaster strikes, Phyllis feels guilty that she had not seen the truth of the situation and had not been able to step in to help. When war breaks out Phyllis and her husband are unexpectedly taken into custody. There is no trial and no formal sentencing. Separated, they are given little information as to what is going on or where the other is. Phyllis feels that her incarceration is in some way justified - not because of her association with the Party but because she let her friend down. Years pass. Phyllis is sent to a camp on the Isle of Man along with other politicos and enemy aliens. She discovers another way of life, of friendships with women, of making do and of overcoming hardships. She misses her children desperately. 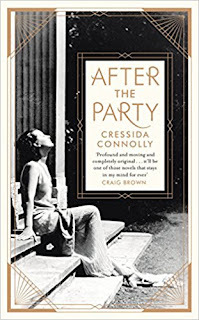 When she is finally released they barely recognise her, and the youngest, Edwin, has become attached to Patricia and Greville, who have taken him in every school holiday. Betrayed by both her sisters for different reasons, and in reduced circumstances, Phyllis moves north. Her children blame her for her involvement in what is now considered a wicked cause, and she has little contact with her wider family. She has become, perhaps sardonic rather than bitter, and quite apart from seeing the misjudgement in her earlier associations, has become rather more deeply entrenched in her views. This is a beautifully written book, full of poignancy and sadness. It shows how lives can be destroyed by happenstance and by foolish errors of judgement and how, ultimately, no lessons may be learned. Avoid If You Dislike: Accounts of the privileged classes. Perfect Accompaniment: Whisky in cut glass with an engraved cigarette case nearby. 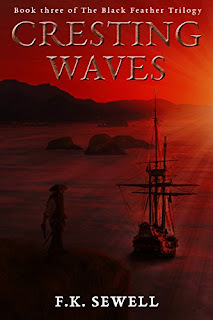 What we thought: Cresting Waves, the third and final instalment of the Black Feather Trilogy, completes the tale of orphan pirate, Alex Cavendish, and leaves the reader with something of a lump in the throat and a tear in the eye. 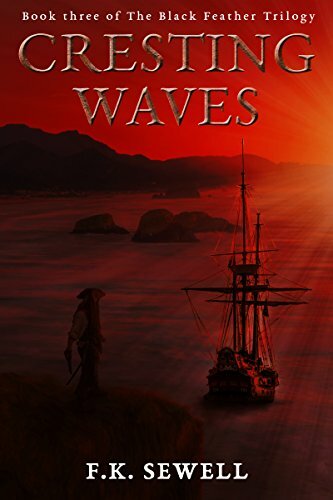 As with the previous two books, it opens as an action-packed, adrenalin-fuelled adventure that ebbs and flows throughout, but very quickly it becomes so much more than just a fun pirate romp. The long-running feuds with the Vliets and Barnaby continue to play a central role in the story, but Alex also has his mind on other matters, including a safe, secure and peaceful future. He’s had enough of life on the wave and he realises there are alternative lifestyles available to him. He is also determined to find his mother, if she is alive, and Kitty who he still loves dearly. Sewell is a talented author who can produce diverse fight scenes bursting with excitement and tension, as well as intimate moments full of emotion and tenderness. One episode in particular between Alex and his wife will live with me for a very long time due to Sewell’s delivery and skill. I don’t want to give too much away in terms of spoilers, so I won’t go into detail, but she manages to take an extremely difficult situation for a couple and make it touching and poignant, without being cloying or trite. On one level Alex is the same character as before. His determination, loyalty and strong moral code – despite being a pirate – remain true. But on another level, something has changed in him. There is a difference in his approach to life and responsibility. Where earlier in the story he was thrown into the deep end and had to learn fast, in retrospect that was his coming of age. In Cresting Waves, he has become a man. As a trilogy, the Black Feather books provide a wonderful balance of adventure, passion and emotion with a dash of gritty history thrown in for good measure. Cresting Waves is a worthy finale. You’ll enjoy this if you like: A mixture of high-octane adventure and emotional situations handled delicately. Avoid if you dislike: Difficult relationship scenarios. Ideal accompaniments: A strong drink, a box of tissues and something that reminds you of your childhood home. 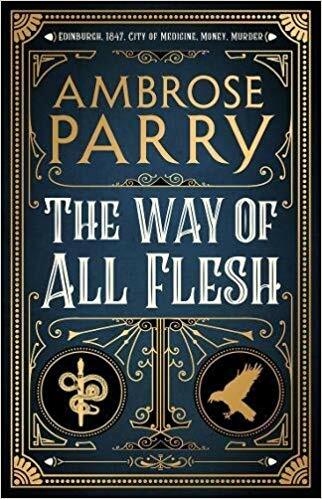 What We Thought: Set in Edinburgh in the mid-19th century, The Way of All Flesh is both an informative account of the development of anaesthesia and a historical murder mystery. Will Raven is a young medical student working as assistant to the famous James Young Simpson, pioneer of painless childbirth. Impoverished and of dubious parentage, Raven has secrets to keep and financial problems to solve. If he can do well with Dr Simpson, he will be set up for life. The work is challenging and often gruesome - women die in agony or survive at the cost of their infant's life. Simpson experiments with ether and other prospective anaesthetics (often on himself an d his colleagues) before he hits on chloroform. Meanwhile, women's bodies are being found contorted into positions of apparent agony. Raven's friend, Evie, is one such and he determines to discover what has happened to her and to the other women of the lower orders thus cruelly disposed of. He forms an uneasy alliance with Sarah, the Simpsons' housemaid, who has also had a friend die in similar circumstances. Sarah is intelligent and forthright - neither qualities likely to serve her in her employment. She dreams of better things and resents Raven's ability to move up in the world in a way that is denied to her. This is an extremely well-written page-turner with plenty of excitement and interest on every page. The descriptions of medical matters are often graphic but never unnecessarily so. Both Will and Sarah are well-rounded characters with faults and foibles as well as strength and compassion. Edinburgh itself plays a major role, from the foetid wynds and ginnels of the Canongate to the pleasant streets of the Georgian New Town. 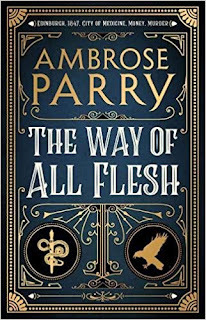 Ostensibly by Ambrose Perry, this novel, as I discovered after reading it, was in fact written by Christopher Brookmyre and Marisa Haetzman. Brookmyre, who needs no introduction, has reined in the more excessive aspects of his graphic comedy; Haetzman is his wife and a consultant anaesthetist. It appears to be a perfect partnership. More books in this series are planned and I could visualise them as a tv series. 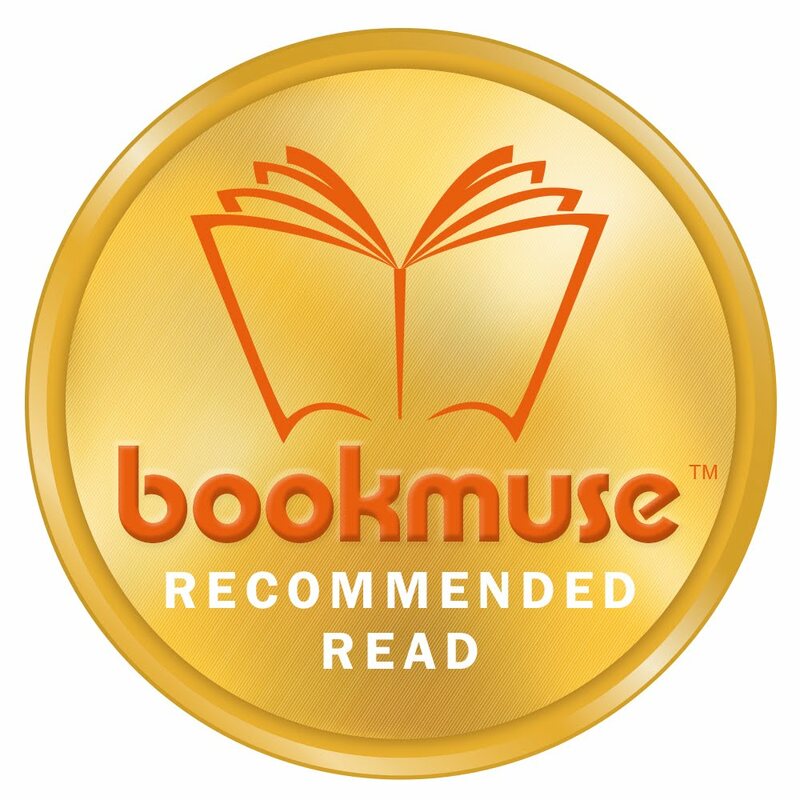 You’ll Enjoy This If You Loved: The Wicked Cometh by Laura Carlin, Sarah Waters’ books. Avoid If You Dislike: Accounts of childbirth that don’t always end well. Perfect Accompaniment: A reasonably strong stomach and a bottle of gin. Reviewer: Liza Perrat, author of The Bone Angel trilogy (Spirit of Lost Angels, Wolfsangel, Blood Rose Angel) and first book in the new Australian 70s trilogy, The Silent Kookaburra. What we thought: I absolutely adored this beautifully-written story told from a dog’s point of view. 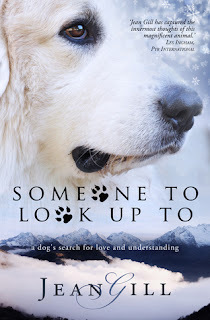 Sirius, a magnificent Soum de Gaia (Pyrenean Mountain Dog) narrates his story and that of his siblings when they leave their mother, and their breeder, their “Choosing” taking each puppy to a very different place. The author’s deep understanding of, and respect for, the canine psyche, is obvious, perfectly capturing the thoughts and emotions of Sirius as he attempts to understand the world into which he was born, and the often unhappy situations in which he finds himself. Filled with humour, love and sadness, the author captivated me with her wonderful descriptions and lyrical prose, one moment bringing tears to my eyes, the next making me laugh out loud. My favourite scenes were the very moving dogs’ nighttime storytelling, the twilight barking. Sirius’s story will certainly make all dog owners rethink the way they handle their dogs, especially those, like me, who need a bit of subtle training in managing their hound. I would highly recommend Someone To Look Up To for every dog owner, but especially for those who are planning on getting a dog. I would even go so far as to say this book should be mandatory reading for people wanting to own a dog, in particular a large breed of dog. You’ll like this if you enjoy: Animal stories. Fictional tales based on fact. Avoid if you don’t like: Sad stories about animals that people can't handle. Ideal accompaniments: Hot toddy and comfy fireside armchair, preferably with a view of the snow-capped Pyrénées Mountains.